Good Morning! Thank you for stopping by. The sketch is up at Tuesday Morning Sketches and it's a fun one! Our sponsor this week is our very own Patti and she's offering a fun day for a prize. Head on over to the blog for details. 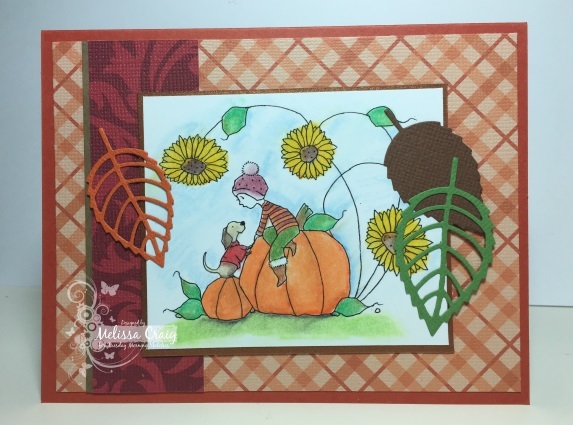 My card features the September Fall Kit by Hero Arts. This was such a good deal I just couldn't pass it up. Fall is my favorite time of year and I really miss the colors of season - I say that every year. This kit came with stamps,dies, inks and embellishments. It also came with a few pieces of card stock, the orange is also featured, and I used the ribbon that bound the whole kit together. I absolutely love the sentiment stamps - that handwritten brush stroke is beautiful. Thank you for stopping by and we'll see you at the TMS blog. Good Morning! Thank you for stopping by. The sketch is up at Tuesday Morning Sketches and I really love this one. I really love our sponsor, too. Our sponsor this week is Pink and Main and Michelle just released this past week the most adorable Christmas stamps and dies. I couldn't help myself, I ordered the second she posted them! 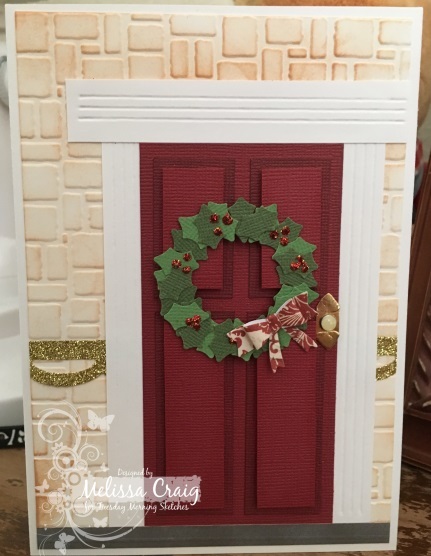 My card features hOWLidays stamps and dies and Merry Christmas Script dies. My card features papers from the Heidi Swapp and I brought in some additional dies by Fun Stampers Journey. And I even decorated the inside! I do hope you join us - you'll have a lot of fun and there's a $15 shopping voucher as a prize! Good Morning! Thank you so much for stopping by! The sketch is up at Tuesday Morning Sketches and this is a really fun one by Debbie. It's another one of those sketches that will go in your go-to folder. 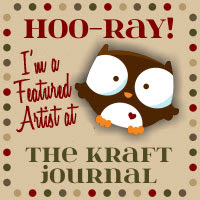 Our sponsor this week is Crafty Sentiments and my card is featuring an adorable image called Fifi Cupcake. This was fun for a Fall birthday card. My card is a Natural White base (Neenah) and the sentiment is from a chocolate brown card stock and a pretty plaid orange card stock. I used a die and sentiment from Pink & Main. This is a very clean and simple card and I think is a great card to give to anyone on your list. Please head on over to the TMS blog and check out the DT designs - they did a phenomenal job like always! Have a great Monday. Good morning! Thank you for stopping by. 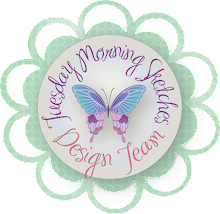 The sketch is up at Tuesday Morning Sketches and this week we're sponsored by DRS Designs Stamps. I'm excited that I got to use some of my favorite stamps by DRS Designs. My card today features Medium Daisy and Three Butterflies. I know this isn't really meant to be a Gerbera daisy, but hey, layer two of them together and why not turn one lovely bloom into another lovely bloom. Gerbera daisies are most favorite in the daisy family. I love the colors I used - not so hot about the markers themselves though. I used Spectrum Noir markers and they are messy! I felt I had no control. But I made lemonade and the overall result I am pleased with. I stamped the butterflies twice, colored them with my Copic markers and then fussy cut them out. My card also features paper by Colorbok. 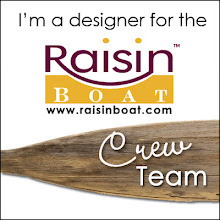 Please be sure to check out the other team member's designs. They are sure to inspire. Now head on over to the TMS blog. I'll see you there! Good Morning friends! Thank you so much for stopping by. I do appreciate your visit. The sketch is up at Tuesday Morning Sketches and I do really like this one. Simple elements that is perfect for any style card. 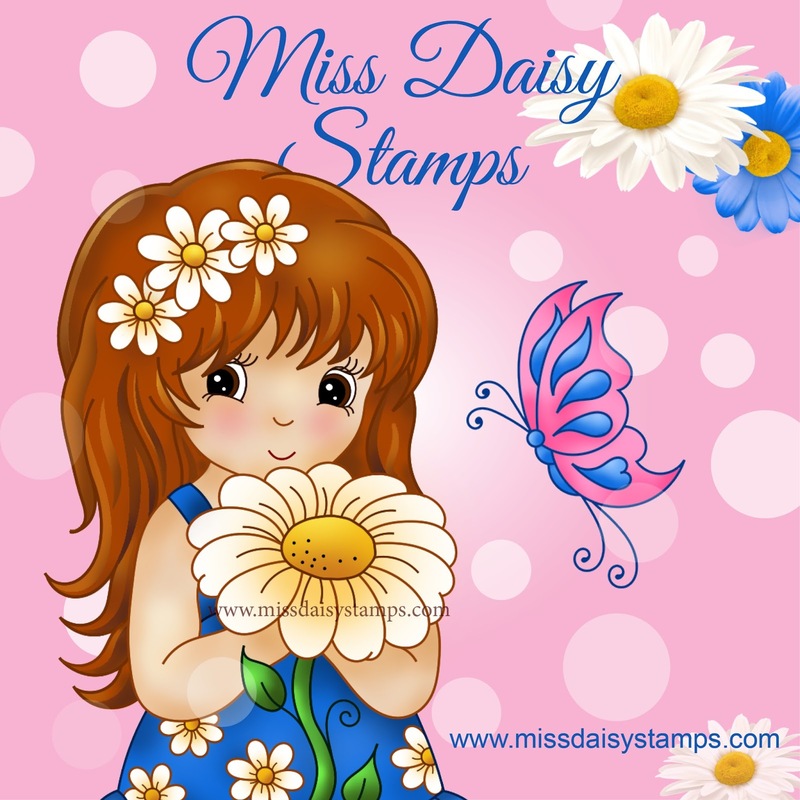 Our sponsor this week is A Day for Daisies and my card features an image called Spring Flower Hair. I hope I have that right. I still don't have my computer at my new house, so I'm sort of posting everything based on memory and hoping I get it right. I had to borrow a friends iPad and then that didn't work so well, so I'm using my son's computer, which thankfully he got set up today. My card also features this really cool pocket card die that I got from Fun Stampers Journey. Of course after I got it they announced that it was being retired. But instead of moping about it, I finally pulled it out and actually used it. I does have two pockets, one behind the solid middle piece and one in front of it. It's perfect for a special note and a gift card. I hope my card inspires you to join us and please be sure to visit the DT as they really deserve your love. Have a great week! Hello! The sketch is up at Tuesday Morning Sketches and it's a great one by Debbie. Our sponsor is Di's Digis so my card features a $1 digi I purchased from her store - Sprinkles. My card also features Sweet dies/sentiments from Pink & Main! I'm also using up some old paper, too. Short and sweet post this time around - I need to keep working on packing. Be sure to come by and join us at TMS and visit the DT. Good Morning TMS friends. I hope you're week is off to a great start. The sketch is up at Tuesday Morning Sketches and this one is by Patti. I love this sketch - this one, if you take it quite literally, gives you so much opportunity to use ribbons and embellishments from your stash. My card is quite literal, but I am happy with the results. My card features Spellbinders dies. The foliage die, I used the fern leaf. I actually cute them out of my background ivory piece. Using a stencil brush and 2 shades of distress inks, I colored them softly. Then adhered the whole piece to a scrap of copy paper. I am loving the inlaid technique. 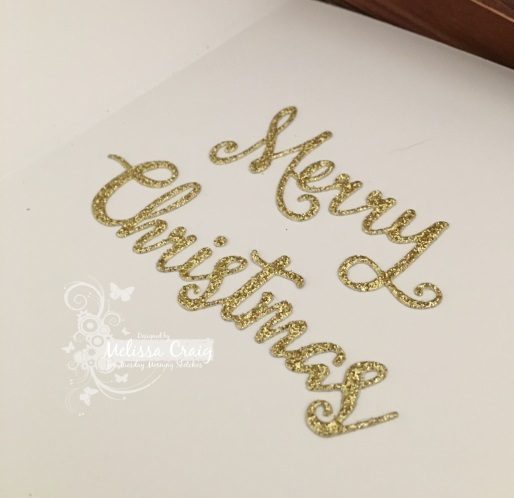 I then stamped my greeting with Oatmeal Cookie (FSJ) ink and then embossed it. I added some beautiful olive green ribbon. For the focal image, I covered a piece of black card stock with Scor-Tape (sheet) and then die cut the butterfly. Then I used opal foil (ThermoWeb). I didn't even think about how sheer this foil was, but foiling black card stock with it just made it so dramatic! Check out this butterfly! I finished it off with pewter colored pearls. I think that is the most stunning butterfly ever. Please head on over to the TMS blog and join us! And be sure to leave some love for my amazing design team. Good Morning! Thank you for stopping by. The newest sketch is up at Tuesday Morning Sketches and this one is by Debbie. It's fantastic. I had so much fun playing with it. Our sponsor this week is DRS Designs. 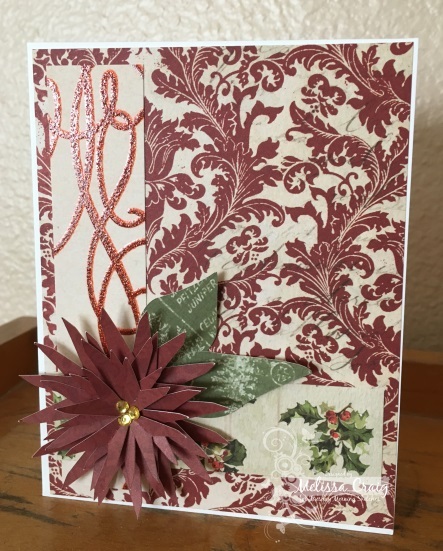 My card featuring paper piecing today. I decided I wanted to just play and piece my whole card, so I am letting my amazing Design Team show off DRS Design stamps while I indulge in other paper crafting mediums. And is this not stinkin' cute! Well, it really is. I am using a piecing pattern Stinkin' Cute Paper Piecings. I got the design from the Silhouette Online Store, but her store features these adorable patterns that I'm sure will work on other popular electronic cutters. The balloon and sentiment is also from a card kit that I got on the Silhouette Online store. I enlarged the balloon so that is covered 2/3 of the base. I embossed a panel with clouds embossing folder by Darice and then mounted this beyond words adorable birthday turtle over that. I love this card and will be perfect for my cousin's grandson when his birthday rolls around. Leo loves turtles! I hope you enjoy looking at my card as much as I do. Please join us at the Tuesday Morning Sketches blog, too. Have a great day! Hi friends! Thank you for stopping by. The sketch is up at Tuesday Morning Sketches and this one is by Patti. It's a great sketch with so much design possibility. Our challenge is sponsored by Oddball Art Co (Etsy). These are great images for the eclectic and artsy palettes. My card features Newsprint Flowers. My card also features the Hero Arts Prayers (stamp and die) set available at Simon Says Stamp. This is a benefit stamp set where 25% of the profits is donated to Lasting Hearts - a fundraiser to help parents who have lost a child due to miscarriage. The base is a lovely navy blue. I punched out my sentiment using the Word Window punch (SU!) and I also die cut the prayers. I then embossed this panel using the chevron dots embossing folder. I adhered the cream colored background to the base and then in-laid the sentiment (I didn't want the dots going through the words) and also in-laid the prayers die cut. It was a little tedious to put the cream inside pieces, but overall, worth the effort. Please join us over at the TMS blog to play along. We'd love to see what you create! Have a great Monday. Good morning! Thank you for stopping by. The sketch is up at Tuesday Morning Sketches and it's a really easy one. Simple elements that can be moved, rotated, flipped - whatever your creative heart desires. 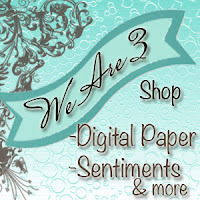 Our sponsor this week is Bugaboo Digital Stamps. My card features Friendship Roses. Now this image I sized down pretty small. It loses a lot of detail. It's quite lovely and could be a whole card front by itself. I wanted a victorian feel to this card and I think the colors are perfect for that! I pulled out some old paper from Basic Grey. I already had the base made from another card that I didn't like very much. So I pulled it apart and used it for this card. I also had some key and lock pieces cut from a die sitting on my table so I decided they'd work nicely, too. They didn't photograph well because they are cut from glitter cardstock and I didn't think to rotate the card a bit so that the glitter could catch the light. Overall, I think I got the vintage feel, but next time, I'll keep the image larger. Thank you so much for stopping by. Please come join us and don't forget to visit the design team. Good Morning! Thank you for stopping by. The sketch is up at Tuesday Morning Sketches and I think you'll have fun with this. Our sponsor is this week is All Dressed Up and my card features their freebie butterfly image that can be found here on their blog. I wasn't able to capture the sparkle on those butterflies - but they sure look pretty in real life. My card features papers from the Cafe Mediterranean matstack, the circle dies are from Fun Stampers Journey and embellished simply with a stapler. Please head on over to the TMS blog to join us! We'd love to see you what you create. The card challenge at CAS-ual Fridays said to use flowers and the color challenge at Color Throwdown said to use kraft, green and cream. My card features the Vintage Rose (build-a-rose) stamp set by Altenew, stencil I got on Blitsy, Old Paper Distress Stain, Hello die by Pink & Main. The sentiment I cut out from Ivory Coast card stock and from kraft card stock. I then layered the two slightly off so that it created a bit of a drop shadow. This is a really simple card and would be an easy one to mass produce. I also made my own stamp tool that is reminiscent of the MISTI tool - which I will never own (unless gifted to me). The mini one alone is $50. I could do a lot of damage with $50 then to spend it on just one tool. Watch this video, and you'll see how you can make one yourself for under $8. You can get the supplies here. Thank you for your visit - I hope you enjoyed what I had to share today. Good Morning! Thank you so much for stopping by! The sketch is up at Tuesday Morning Sketches, this one is inspired by Jessi and it's so much fun. So versatile as you'll see on the blog - the DT line up is FANTASTIC!! Maybe Jessi will feel well enough to post the card that inspired the sketch. 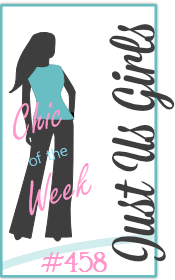 I'm sponsoring this week, I have a fun embellishment kit from Freckled Fawn to give to one lucky winner! Purple may be my favorite color but I can't photograph it to save my life. This card looks better on my camera than it does on the computer screen. It is simple and trust me, in real life, it's adorable! I am featuring paper from my stash - once again Latte by DCWV (thanks Jenee for reminding me I have this great stack), The tag is a die I purchased on clearance at Ellen Hutson, it's by Paper Smooches. The stamp is ATC stamp Rose Garden by Fun Stampers Journey. I colored the image using Fun Stampers Journey True Color Fusion inks (Limeade Splash and Pretty Pansy) with Fusion Blender. I have a lot to learn about this stuff, but I'm not unhappy with the results. Then I just finished it off with a double loop bow with purple seam binding that I've had in my stash. Easy note card that would be quick to mass produce, too. Head on over to the TMS blog and join us! See you there! Hello! Thank you for stopping by! The latest sketch is up at Tuesday Morning Sketches, brought to you by Debbie to inspire you. It certainly did me. I kept my card very simple because it's for a friend mine. He's celebrating his 25th birthday and I find keeping masculine cards simple works the best for me. 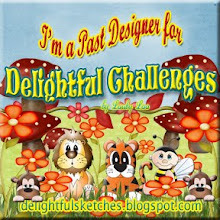 Our sponsor this week is Di's Digis and she's offering a $12 voucher for the prize. 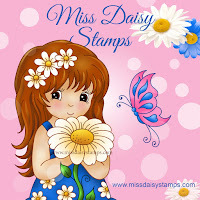 My card features a wonderful stamp set from MFT stamps that they retired years ago. It's called Flower Silhouette and it came with a matching die. I did extend the stem by cutting the flower out twice, removing the bloom and just using the stem. Last week, Jenee made a card using paper from the Latte stack by DCWV and it reminded me that I have a lot of the left and I haven't used it in awhile. The color palette is perfect for a guy card. The border is also from MFT stamps and I believe retired. The labels I have no idea who they're by. They came with the magnetic platform I bought years ago and never used. I eventually gave that to my sister. I do hope to see you over at Tuesday Morning Sketches. Have a great week! Happy Easter. Good Morning! How are you? I'm glad you stopped by. My week seemed to be a continuation of last week - no weekend. It was busy to say the least. MA dance competition was on Saturday. We were at that school by 6:30 Saturday morning and didn't leave until 10:00 that night. Hollyanne performed her solo and did very well. I couldn't be more proud of my daughter! The sketch is up at Tuesday Morning Sketches and it's a fun one. At least I think so! I'm not sure what I had in mind when I created it - so it was a little challenge for me, but in the end, I'm pretty happy with my card. This week's sponsor is Craftin' Desert Divas. I love their images so much, I just had to purchase one to play with. My card features Loveliest Little Banner Bear. I should have printed this digi a little bigger, but like I said, overall I'm still happy with it. I am using papers from the paper stack I'm using for my personal planner. The sentiment is an svg that I got on the Silhouette online store. I cut it 5 times and glued them together for dimension. The white letters sort of got lost so I colored the sentiment with 3 shades of Copics in an ombray effect, then covered the letters with Crystal Effects. I like how this turned out. So shiny! Please head on over to TMS and join us... say hello to our two DT members, too. See you there!